It's been such a hectic holiday season for me but I'm glad things are finally slowing down and I can share more cards with you all! Now that Christmas is over, the next big holiday coming up is Valentine's Day. These penguins from Valentine's Penguins is incredibly adorable! They all look incredibly happy. I really wanted to use the penguin with a balloon to float up in the sky. I used the concept of a double slider card, to be a single slider card. The penguin floats using a piece of acetate. You can't really see it in the pictures but it's there because that's how it moves up once you pull on the card. This collage shows how it works and moves. Isn't it super cute? I really love this card and I think anyone would love getting it (I hope). Wishing you a wonderful Christmas Time. 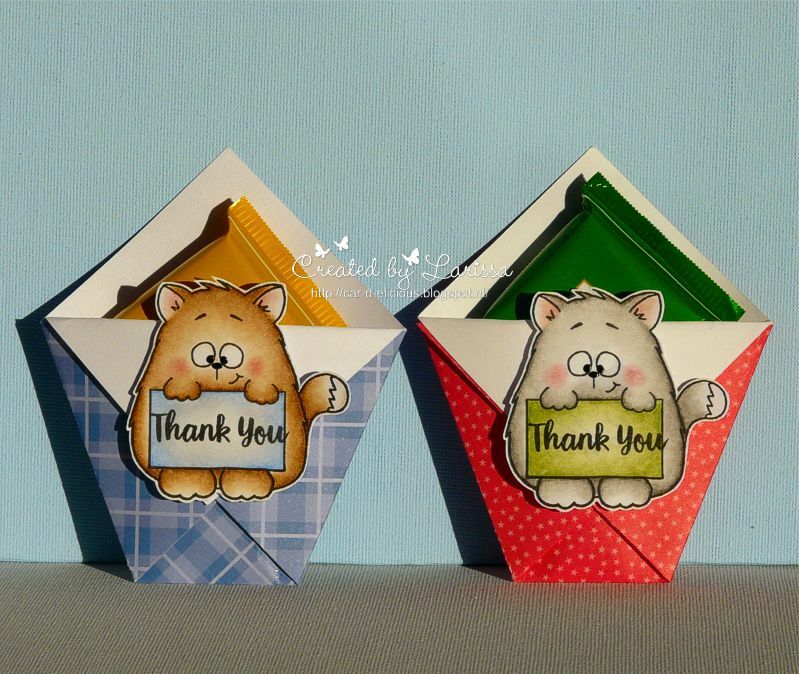 Hey stampers, Anni here, with another post as a guest designer for Gerda Steiner. I am so happy to show you another card with the super cute Valentine Penguins - I had so much fun playing with this set. I started by die cutting circles of a rectangle of white cardstock. These work as windows for the cute penguins to look through. Onto my cardbase I added a little bit of ink blending. I used to shades of Distress Ink - Antique Linen and Worn Lipstick - a combo I learned from a friend - I wouled have never used these two colours together but I really like the effect. Then I stamped, coloured with alcohol markers and fussyc ut three penguins from the set. For the colouring I chose colours that would match my background. And of course "penguin colours" like black, white and orange for the beak and the feet. I added some highlights with a white gel pen and deepened the eyes with a black gel pen. I stamped a sentiment from the set Llama Tell Youonto the rectangle with the circles and adhered to my cardbase with dimensional adhesive. Then I arrenged the penguins to peak out of the windows. This is my last post as a guest designer for this month. So let me wish you a very Merry Christmas and a Happy New Year. 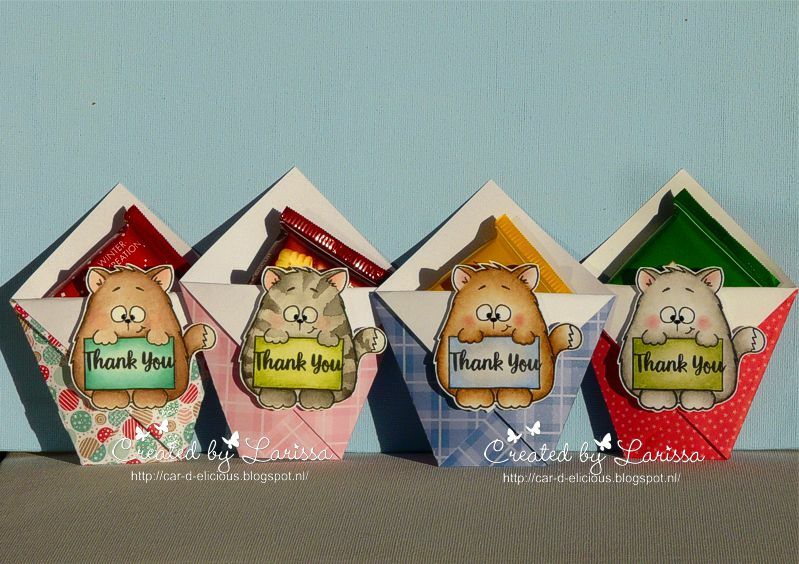 Goodmorning, it's Larissa and today I am on the blog from Gerda Steiner designs again with a new creation. A while ago I placed an order at the Dutch craft store Doe@ding and in my package was a lovely sweet surprise. I really loved it, so I decided to make my own version. I used the stampset All cats from Gerda Steiner designs on the little bag. 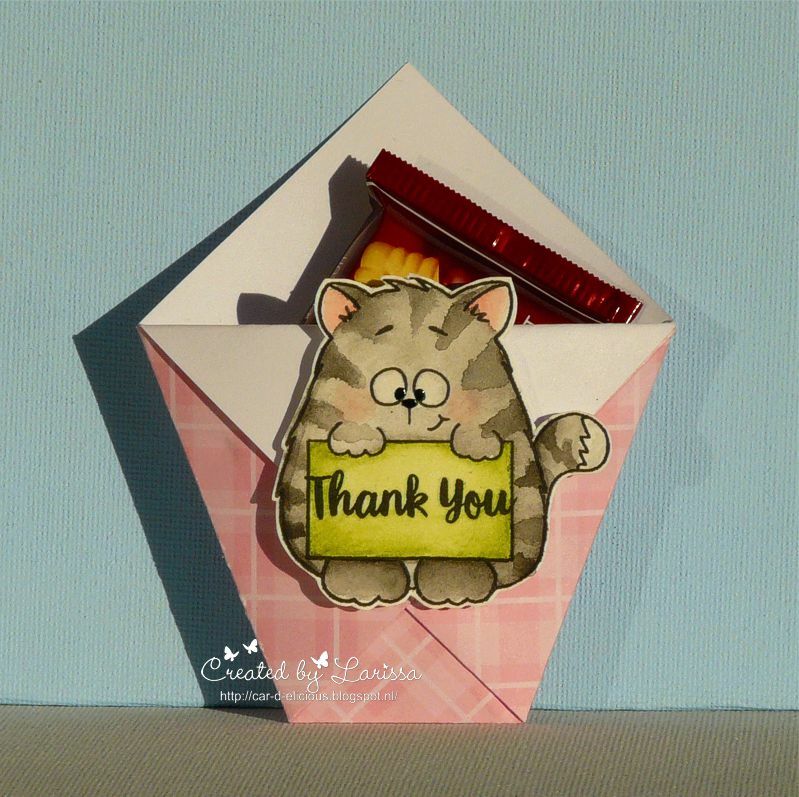 I used the cute cat with the sign on which I stamped the sentiment thank you. I have made 4 pouches in total and I thought it would be fun to use 2 different colouring mediums. These first cats are coloured with my Polychromos pencils and the black glaze pen and then I have fussy cut the images. This blue plaid paper is from the Country fair plaid paper pack from My favorite things. 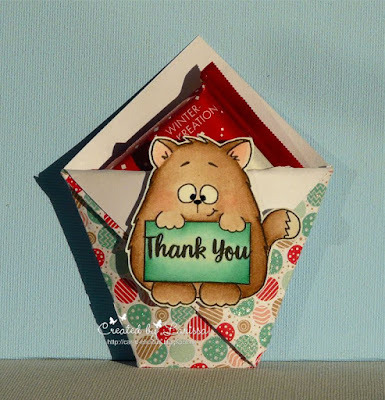 The red star paper is from the Beachside paperpad from lawn fawn. The pink plaid paper is also from the Country fair plaid paper pack from My favorite things. The last design paper is from a Christmas paperpad from Action. It was a bit too thick to make a pouch of. I am so happy to be a guest designer this month again for Gerda Steiner. Yeah! This time I played with the super cute set Valentine Penguins. I started by stamping the penguin with the balloon with alcohol marker friendly black ink. As the penguin is easy to colour with the main colours being black and white I put a little more effort into couloring the balloon. A good trick I learned from th internet is to google something like "heart balloon comic". You get a lot of images where you can find inspirations for colouring the balloon: Where to set the shadows and highlights. After finishing the colouring I added some shimmer to the balloon and some details with a gel pen in black for the eyes and in white for the highlights. Then I fussy cut out the image. To create the background I used watercolour paper, some ink pads and colour powder. I die cut clouds from the background and adhered it with dimensional adhesive. I stamped the sentiment directly onto the cardbase in Versafine ink. and that finished up my card. Goodmorning, it is Larissa again. 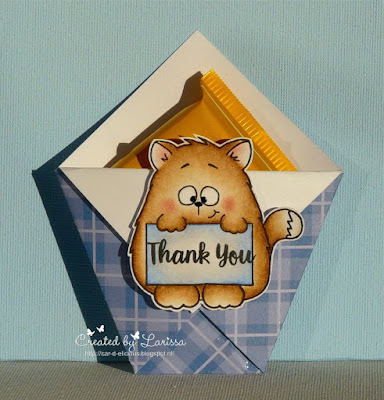 This time I am using a freebie that you can download from the site from Gerda Steiner designs. I made a card with the image 2018 mice from Gerda Steiner designs. 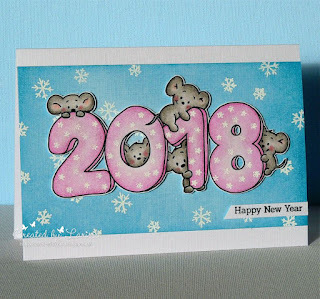 It is the perfect image for a Happy new year card. :) I have coloured the image with my Polychromos pencils and the black glaze pen. I have fussy cut the image. I stamped a little star from the stampset Perfectly penned from Concord and 9th on the numbers with versamark ink and then I embossed them with white embossing powder. Then I coloured the numbers with the Clear Spectrum noir sparkle pen. 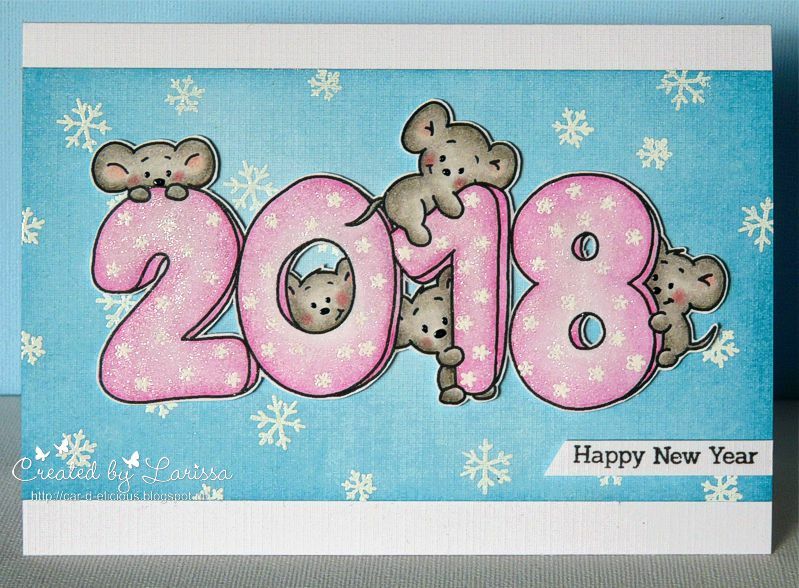 On a piece of white cardstock I stamped a couple of snowflakes from the stampset Caroling critters from Avery elle with versamark ink and then I embossed them with white embossingpowder. Then I coloured the white cardstock with Tumbled glass and Broken china distress ink and I adhered it on a white card. I adhered the image with foamtape on the card. On a strip of white cardstock I stamped the sentiment with the stampsets Simply said and Simply said II from Uniko. I have cut it into a bannershape and adhered it on the card. 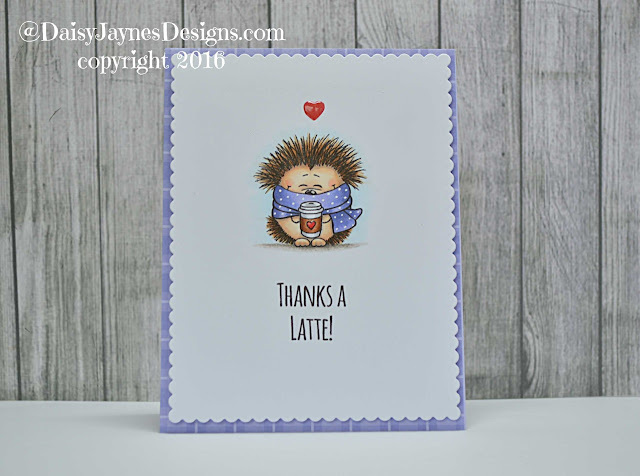 Gerda Steiner Designs is joining the Winter Coffee Lovers Blog Hop and the design team came up with some wonderful creations to inspire you. 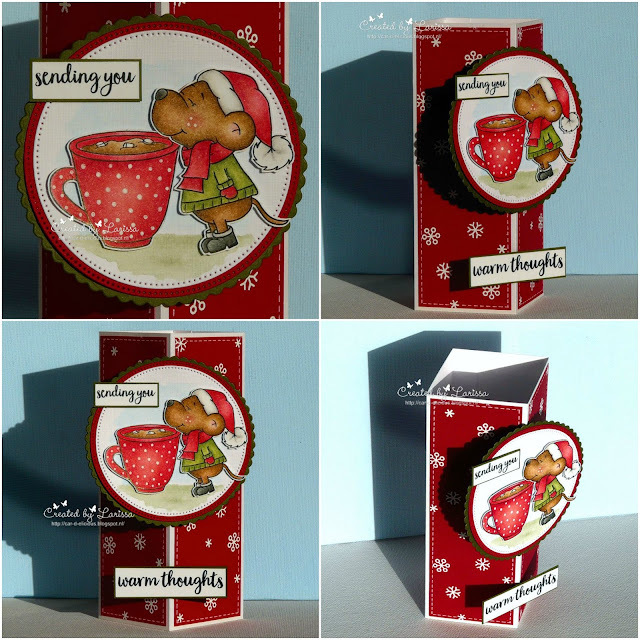 I made a card with the stamp set Smells like Christmas from Gerda Steiner Designs. I have colored the images with my Polychromos pencils and for the background I have used Derwent aquatone pencils. I used a white gel pen to draw dots on the cup. I have fussy cut the images. From green, red and white cardstock I have die-cut a couple of circles with the Crea-nest-lies XXL 41, 49 and 53 from Crealies. 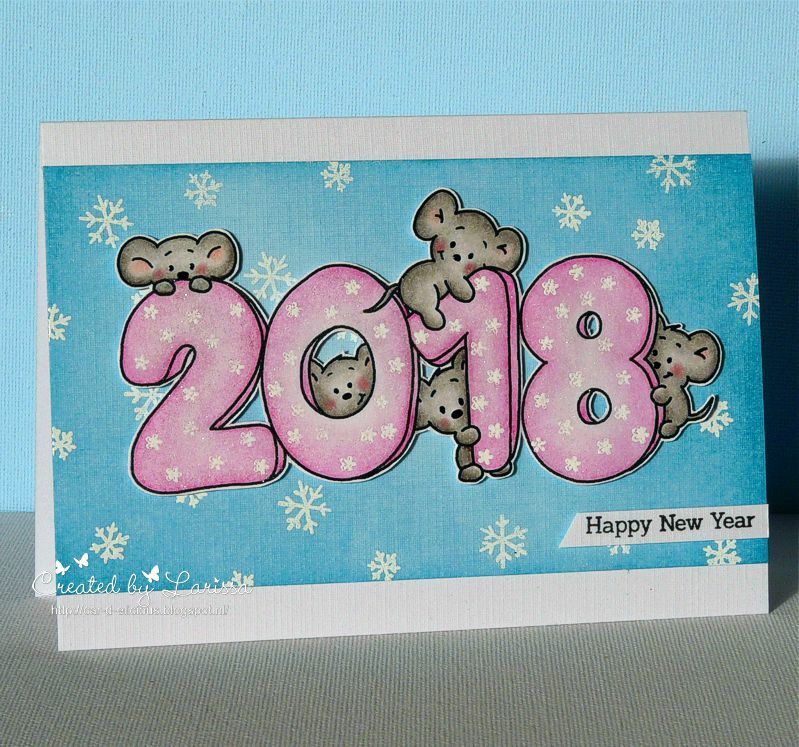 The sentiments are from the stamp set Beary Happy Holidays from Lawn fawn. 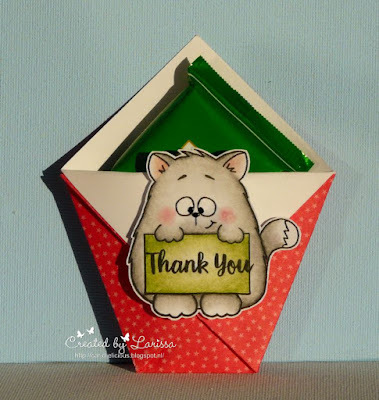 I stamped those on white cardstock and after I cut them I adhered them on green cardstock. The cardshape is called a cornercard. I saw the instructions on YouTube. It was really fun and easy to make, but it is not the easiest card to take a decent picture of. With a white gel pen I added faux stitching on the red panels. 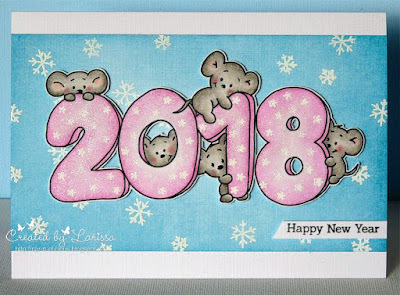 The snowflakes are from the stampset Beary Happy Holidays from Lawn fawn. 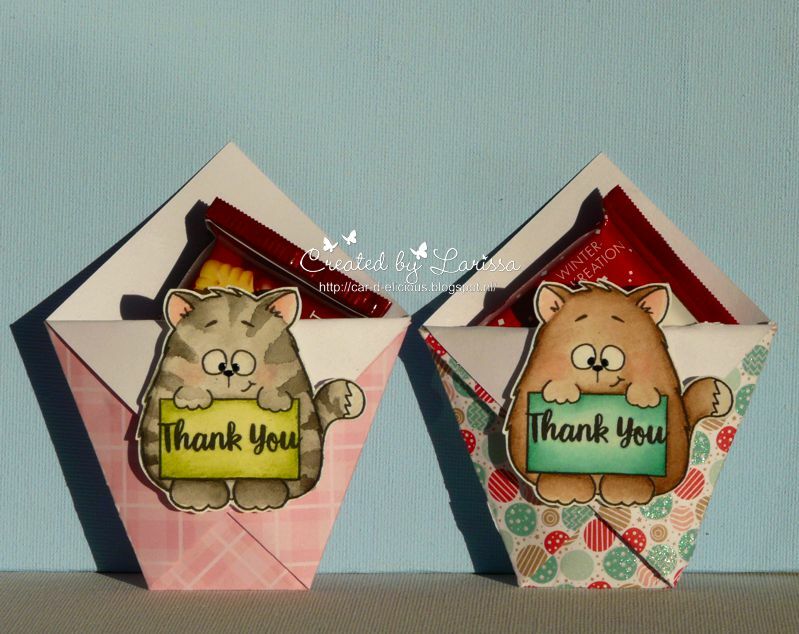 I stamped them with Versamark ink and then I embossed them with white embossing powder. You can fold the card flat and send it in a normal envelope. When I was thinking about the coffee-lovers theme, I looked at my stamps and found this mug from the Gerda Steiner Designs Smell like Christmas stamp set. I thought it would be just perfect, if one were in a very cold surrounding and would be offered a steaming hot beverage. This is how I came to pair the cup with the cute penguin from last year's December/January Digital Stamp Bundle ;o) I created the background scene free hand following a video tutorial by Sandy Allnock and stamped the sentiment right on the horizon line. 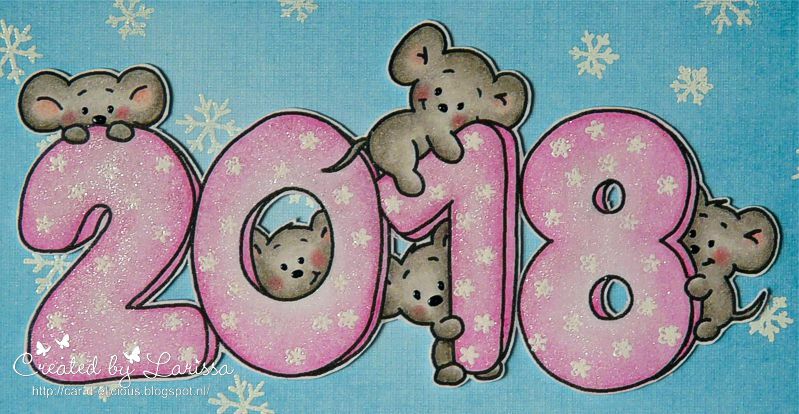 The first card was colored using Copic markers, the sentiment was created on my computer. I fussy cut the dinosaur and popped him onto foam tape for dimension. The second card was also colored with Copic markers. I added the spots on his scarf with a white gel pen and finally I used glossy accents to raise the heart on his coffee cup... what a cutie! 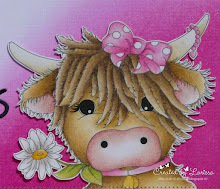 Its Hazel (Didos) from Didos Designs here today with a creation I have made using the super cute Valentine Penguin Set. I thought that a wee shadow box would show off these adorable penguins. 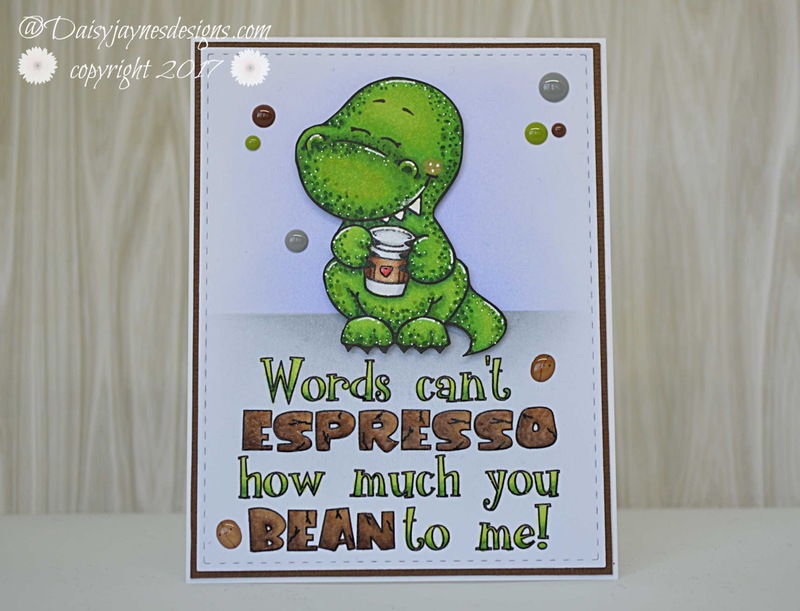 There are 4 stamps and 4 sentiments in the set. I have used part of a sentiment from the set on the balloon. You dont have to use these just for Valentines Day. They would work for all occasions where your recipient loves Penguins. We love them all year here!!! 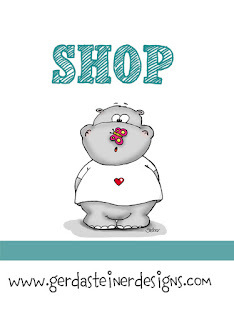 Have you Visited the Store. This month Gerda and Macy have a Fabby Daily Advent Calendar to open a door on!!! Join in with the fun now!!! Shadow Box made using a internet tutorial. Sentiment Computer Generated. Font Keep Truckin.